If you are sitting at home daydreaming of a holiday along the Wild Coast, then Luphuthana is likely not the destination for you. There are no sandy beaches, pretty little rockpools or conveniently located bars. Instead, if you are the sort of person who mistakenly uses the word 'holiday' to describe self-sacrificing expeditions to remote regions of the country in search of solitude and, of course, Mother Nature as she was created, then Luphuthana is just about perfect! Luphuthana is situated approximately 35 km south-west of the bustling Eastern Cape metropolis of Lusikisiki (31°25'21.5"S 29°51'00.4). The costal hamlet is, more or less, in the middle of nowhere, tenuously connected to civilisation by one of the scruffiest roads in South Africa. But, for those with a four-wheel-drive vehicle (or a two-wheel drive and a suitably gung‑ho attitude), bumping down the rutted route is an altogether rewarding experience. The track's apparent bloodlust is quickly forgotten as expansive views of the Pondoland planes reveal themselves. In every direction, hills roll towards the ocean, covered in flowing swathes of golden grass punctuated only by outcrops of coastal bush and the occasional Nguni cow. Not to be outdone, though, the track makes somewhat of a comeback in the final kilometre of the journey. Just as the grasslands give way to the sea, so the road begins a descent of several rocky terraces and crosses a last muddy section before depositing visitors on the banks of the Luphuthana River. With gravity on your side, this final encounter is a one-sided affair, but, with nowhere else to go except back up from whence you came, the drive home is a more evenly matched contest. If the almost complete absence of human beings and wealth of native flora aren't enough to entice you to visit Luphuthana, then the area's unique geography ought to do the trick. 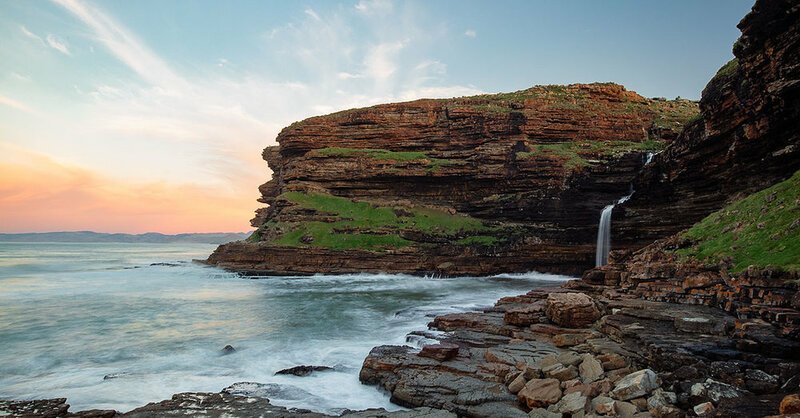 For a few kilometres on either side of the river mouth, the typically jagged Transkei coastline is replaced by a fortress-like solid rock shelf that rises a meter or two above the waterline. The naturally occurring breakwater is mercilessly pounded by the Indian Ocean, producing an unending cacophony of sound and grand jets of spray that frequently soar several meters into the sky. 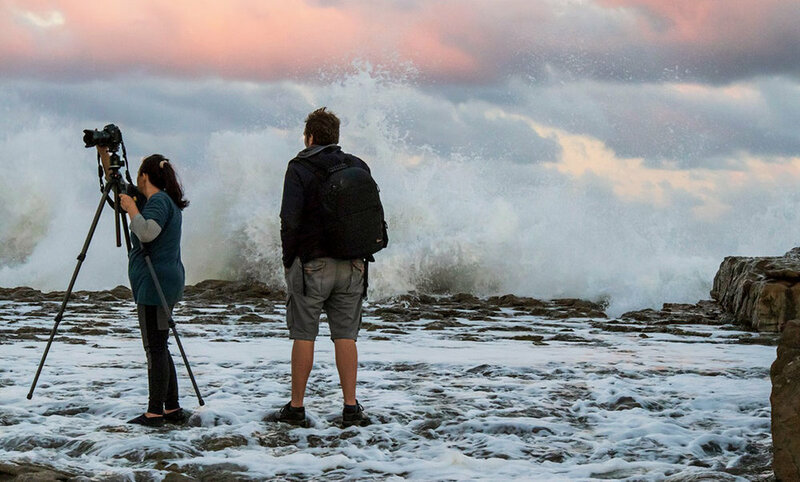 But, while the Luphuthana shoreline is a genuine spectacle in its own right, the area's party piece is found a short hike away at Waterfall Bluff. In what is said to be a fantastically rare sight, one of the many streams that traverses the Pondoland grasslands happens to find itself emerging from the side of a cliff before plunging down directly into the sea. Legend has it that the waterfall is one of only a few in the entire world that falls straight into the sea. Whether or not this piece of trivia would stand up to more thorough scrutiny is anyone's guess, but for many (myself included), Waterfall Bluff undoubtedly offers a once-in-a-lifetime view. As unlikely as it may seem, given its relative isolation, Luphuthana is home to an exceedingly well-run tented camp. Buried deep in a coastal thicket on the west bank of the river, the 12 tents of Luphuthana Adventure Camp offer the only established accommodation in the area. As if the road to reach Luphuthana isn't enough, though, transferring to the camp requires leaving one's vehicle behind on the east bank and proceeding across the shallow Luphuthana River – on foot. Thankfully, the final pedestrian passage is nowhere near as challenging as it sounds, and, in fact, does an excellent job of adding to the region's latent air of adventure. The camp facilities themselves are very clean but, by all accounts, modest, with visitors needing to bring their own food and bedding. However, with electricity, hot water and a well-equipped kitchen, life at the camp is anything but a chore. The camp manager, Lucky, also goes out of his way to ensure that guests are well looked after. Whether it's a porter, firewood or even a crayfish that you're after, Lucky just has a knack for making things happen. Far-flung destinations are certainly not everybody's cup of tea. Visiting them requires a degree of self-reliance, a certain ease with uncertainty and the ability to overlook personal discomfort, all in pursuit of a life experience that only a few individuals will ever have. Thankfully, visiting Luphuthana only requires small doses of these traits but delivers the coveted 'experience' en mass. 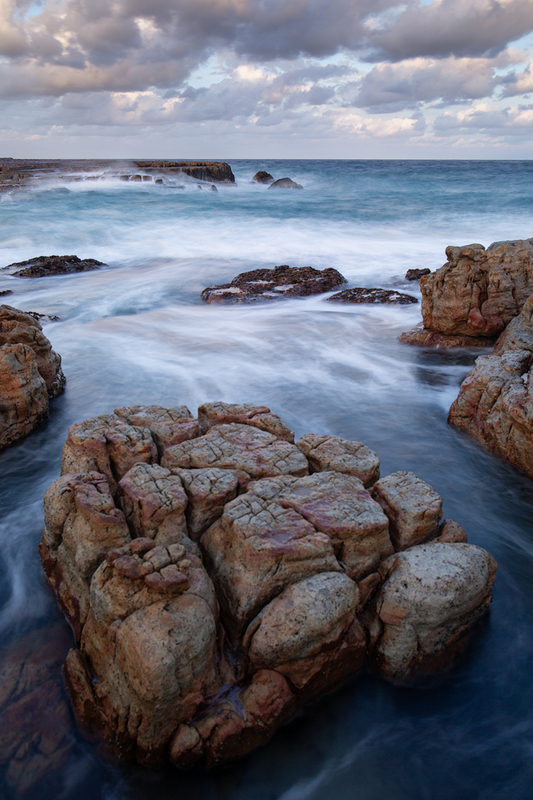 So, if you are looking for an authentic Wild Coast ‘holiday’, there really is no better spot!